How shall I keep my soul from touching yours? lift it up beyond you to other things? that doesn't tremble when your deeps stir. draws one voice from two strings. Across what instrument are we stretched taut? And what player holds us in his hand? I'm reading Rilke again. Never a good sign. The Poetry of Rilke, translated and edited by Edward Snow. 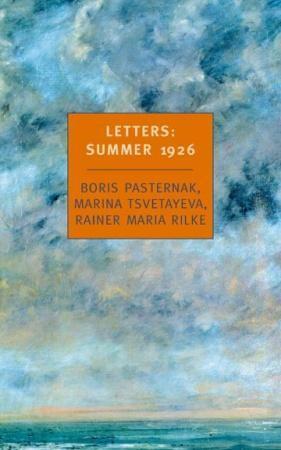 Letters: Summer 1926, by Boris Pasternak, Marina Tsvetayeva, and Rainer Maria Rilke. Reading Rilke: Reflections on the Problems of Translation, by William H. Gass. So it'll be another summer of Rilke. I hope this ends better than the last one. What is wrong with me? I know what time is and what a poem is. I also know what a letter is. So there. While it's true that, as Tolstoy observed, every unhappy family is unhappy in its own way, and everyone on planet Earth, vale of tears that it is, is certainly entitled to the specificity of his or her suffering, one nonetheless likes to think that literature has the power to render comprehensible different kinds of unhappiness. If it can't do that, what's it good for? Batuman is a joy to read. She's funny, smart, and sincere. 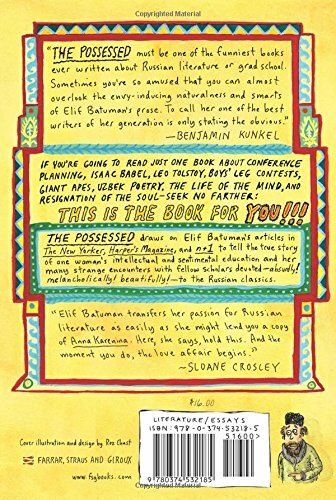 The Possessed: Adventures with Russian Books and the People Who Read Them, by Elif Batuman, takes the reader from Stanford to Samarkand by way of Russia. A familiarity with Russian literature is not required to appreciate this memoir, though if you understand the mindset of what it is to revel in these thick and intricate Russian worlds, so much the better. However, for example, I've never read Babel, to whom the whole of chapter one is devoted; but I think I might want to read Babel now ("Whenever Babel meets anyone, he has to fathom what he is. Always "what," not "who."). I have no knowledge of the Uzbek language or its literature, and I'm quite convinced that it's not necessary for me to pursue the topic further. So I guess what you need to bring to this book is an openness to hearing the stories of people who pursue literature, and its more obscure aspects, as a field of study. I became aware of a deep flaw in my understanding of the world and human knowledge. I had previously thought of knowledge as a network of connections that somehow preserved and safeguarded the memory of what they were connecting. But of course it was only people who remembered things; words and ideas themselves had no memory. The Uzbek language truly was related to both Turkish and Russian, by either genetic origin or secondary contact... but that didn't make it a reconciliation between the two. When you studied Uzbek, you weren't learning a history or a story; all you were learning was a collection of words. And the larger implication was that no geographic location, no foreign language, no pre-existing entity at all would ever reconcile "who" you were with "what" you were, or where you came from with what you liked. What may not be obvious about The Possessed, even though Batuman states it clearly, more than once, is that it's about love. The state of being possessed has love at its core. "What is it you love, when you're in love?" This is difficult enough to answer when the object of love is a person — their body, their soul, their attributes, their worldly goods. But when love's target is more abstract, so too are its defining characteristics. What do you love when you love a language or a literature or a body of work? Batuman exposes some of the tedium and absurdity of academia. But through it all there is love and joy! Without entering into the meaning of each phrase you continue to read and, from the few words that are comprehensible to you, a completely different meaning arises in your mind — unclear, cloudy, and not in accord with the original phrasing, but all the more beautiful and poetic. For a long time, the Caucasus was for me this poem in a foreign language; once I deciphered its true meaning, there were many cases in which I missed the poem I had invented, and many cases in which I believed the real poem was better than the imaginary one. After Samarkand, the beauty of cloudy, poetical meanings conjured out of associations and half-grasped words — the beauty of things that don't appear on the page — somehow lost its charm for me. From that point on I was interested only in huge novels. I started researching a dissertation on the hugeness of novels, the way they devour time and material. And although I suppose it's just coincidence that Tolstoy compared the subjective charms of half-understood poetry to the Caucasus in particular, nonetheless, I was finished with them, too — with the Caucasus, the Russian East, and the literatures of the peripheries. Meanwhile, I have lost the ability to read fiction, I hope only temporarily. Between salving my heart, confessing my soul to paper, and walking — the endless walking — fiction has become an interference, reading an irritation. Sigh. 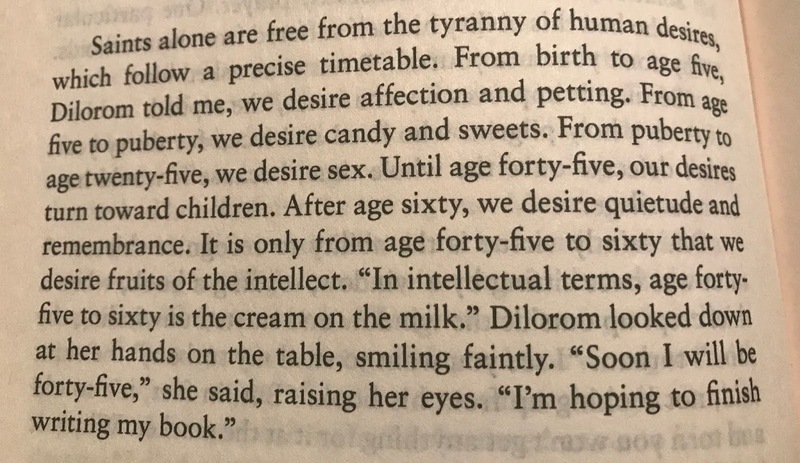 The fact that I could never quite understand what was going on put me off of Russian novels; for Batuman, it's a prime attraction. Is it because of some billowing whiteness within us, unsullied, inviolate, that our encounters with objects so pristine never fail to leave us moved? The White Book, by Han Kang, is a difficult book to talk about. It's billed as fiction, but it reads like something between memoir and poetry. It's less book than art. Being so experimental in form, it is difficult to synthesize. I read it about a month ago, in one sitting. I promptly forgot its details, but the mood of it washed over me and lingered. I revisited portions of it last week in preparation for book club discussion, but again the substance of it has washed away. It's a beautiful book as object. It's crisp, stark. French flaps. White space. Blank pages. Black and white photos (greyscale, really). On the whole it leaves me cold (like frost). It's sterile and antiseptic (like salt). It starts off as a formal exercise, a list of white things. I expect a meditation on whiteness and its associations (a philosophical inquiry à la William H Gass). I am relieved that there is no discussion of race, but other bookclub participants are outraged that there is no discussion of race; how could anyone call their book "The White Book" and not at least acknowledge the issue of race? The narrator walks through a foreign city. The city is never named. The very first review of this book that I read identified the city; in fact this knowledge piqued my interest in the book. It's a city that I know, and that I don't particularly like. I wonder if I would've been able to identify the city without having been told. I think so. It's a city that was destroyed and rebuilt. It looks old, but it's brand new. It feels... disconnected. The story, such as it is, is about the narrator's older sister, whom she never met. (Or it is about her relationship with her older sister.) The baby had lived only an hour or so. The heart and soul of the book is the narrator's imagining of her non-sister's non-life. It is a life reconstructed, resurrected; but it's not the real thing. Her sister is a kind of ghost, realized in this city of ghosts. Whiteness tends toward innocence, purity, peace, and hope. Also blankness, a kind of neutrality. White is all colour. The narrator has migraines. So do I. I was the only one in our discussion group who has migraines. Statistically, I thought there'd be one more. "I concentrate on simply enduring the pain, sensing time's discrete drops as razor-sharp gemstones, grazing my fingertips." White pain, like white noise. Clean, cold light that had bathed her eyes, scouring her mind of all memory. The book's whiteness is punctuated with colour: a bead of blood, red brick wall, black earth's reflection, the blue tinge of a sluggish dawn, a gunmetal sea. Fog: "can we really call it white? That vast soundless ululation between this world and the next, each cold water molecule formed of drenched black darkness." Is translucence white? Blizzard: "This vanishing fragility, this oppressive weight of beauty." Bed linen: "Your sleep is clean, and the fact of your living is nothing to be ashamed of." Laughing whitely: "Laughter that is faint, cheerless, its cleanness easily shattered. And the face that forms it." Bones: "That human beings are also constructed of something other than flesh and muscle seemed to her like a strange stroke of luck." This book will not advance your understanding of whiteness. It may or may not have achieved any resolution of memory, or guilt, or writer's block. The end inspires some hopefulness, that all will be whiteness (all will be all colours? ), that the narrator will see clearly with her non-sister's eyes. 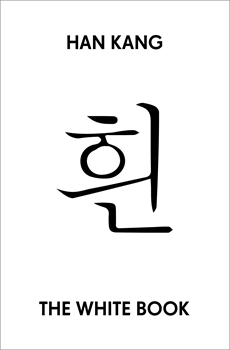 It confirms connection through detachment. This book is not a story, it's an experience. There are certain memories which remain inviolate to the ravages of time. And to those of suffering. It is not true that everything is coloured by time and suffering. It is not true that they bring everything to ruin. 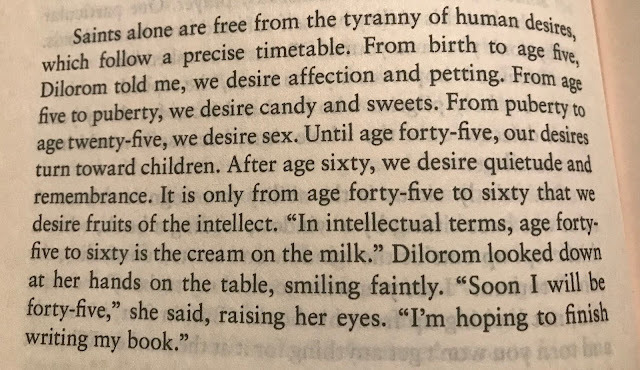 — from The Possessed: Adventures with Russian Books and the People Who Read Them, by Elif Batuman. Her desk had been swept bare. There is only the incandescent bulb above it, giving off light and heat. The blind has not been lowered, and headlights can be seen moving along the main road at sporadic intervals now that midnight has passed. She is sitting at the desk, like someone who has never known suffering. Not like someone who has just been crying, or is about to. Like someone who has never shattered. As though there has never been a time when the only comfort lay in the impossibility of forever. — from The White Book, by Han Kang. 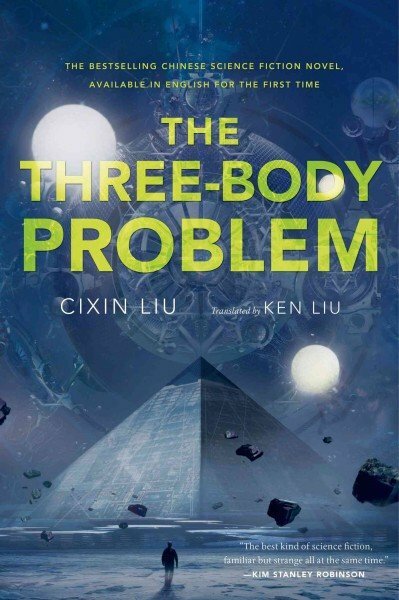 The Three-Body Problem, by Cixin Liu, takes its name from the problem of physics to do with gravitational systems and the predictability of the movement of those bodies. Finally I'm motivated to read this book, as it's up for discussion at bookclub. What I did not expect was the background of the Cultural Revolution, a physics professor persecuted for teaching the (reactionary!) theory of relativity (developed under "the black banner of capitalism"), and a woman traumatized by the experience of seeing this man, her father, die. Nor did I expect to be fully immersed in a virtual reality game, encountering historical personages and simulating famous mathematical conundrums (and with an homage to Flatland). Also this sentence, which I keep rolling over, trying to make sense of it: "A woman should be like water, able to flow over and around anything." And Buddhist teachings: "Emptiness is not nothingness. Emptiness is a type of existence. You must use this existential emptiness to fill yourself." And bits of poetry: "This kind of experiment is akin to looking for a raindrop of a slightly different color in a summer thunderstorm." This is a massive story, and it feels like it's barely just begun (this is, after all, just the first part of a trilogy of books). The plot proper ostensibly opens when Wang Miao, a nanotech researcher, is called in to assist in the investigation into a rash of mysterious deaths of several prominent scientists. He has occasion to meet Ye Wenjie, astrophysicist and mother of the latest victim. Much of the novel is devoted to Wang learning about Ye's past, including how she had watched her father be executed and herself was imprisoned during the Cultural Revolution. And then, wow, contact. And that first message is a warning, or maybe a threat, or maybe a cleverly laid ruse. Much of the rest of the novel is consumed with Wang playing the VR game, trying to solve the three-body problem, which turns out be a very real problem for a very real planet with three suns. The Trisolarans have adapted to their extreme environment — their bodies can dehydrate and be stored during chaotic periods — but the end is imminent and they must find a new home. I finished the book despairing over humanity, not so much concerned over its ultimate fate as disappointed in our actions along the way — how many betrayals against our species along the way, whether at an individual or community level or on a planetary scale. I am torn between resistance and welcoming our alien overlords. Look at them, the bugs. Humans have used everything in their power to extinguish them: every kind of poison, aerial sprays, introducing and cultivating their natural predators, searching for and destroying their eggs, using genetic modification to sterilize them, burning with fire, drowning with water. Every family has bug spray, every desk has a flyswatter under it . . . this long war has been going on for the entire history of human civilization. But the outcome is still in doubt. The bugs have not been eliminated. They still proudly live between the heavens and the earth, and their numbers have not diminished from the time before the appearance of the humans. Ruta once heard the life of the mushroom spawn. 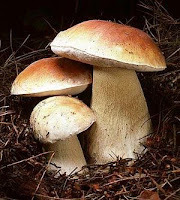 It was an underground rustling that sounded like a dull sigh, and then she could hear the gentle crackle of clumps of earth as the thread of the mycelium pushed its way between them. Ruta heard the spawn's heartbeat, which happens once very eighty human years. Ever since she has been coming to this damp spot in Wodenica, and always lies down on the wet moss. If she lies there for a while, she starts to sense the mushroom spawn in another way, too — because the spawn slows down time. Ruta falls into a waking sleep, and sees everything in a completely different way. She can see individual gusts of wind, the slow and graceful flight of insects, the fluent movements of ants, and particles of light that settle on the surfaces of leaves. All the high-up noises — the warbling of birds, the squealing of animals — change into booming and rumbling, and glide along just above the ground, like mist. Ruta feels as if she has been lying like that for hours, though only a moment has passed. So the mushroom spawn takes time into its possession. — from Primeval and Other Times, by Olga Tokarczuk. Like a dull sigh. Takes time into its possession.